A total of 185,000 tons of aquatic products valued at 6.3 billion yuan ($915 million) were sold overseas in 2016, a year-on-year growth rate of 3.4 percent according to Zhanjiang Customs. 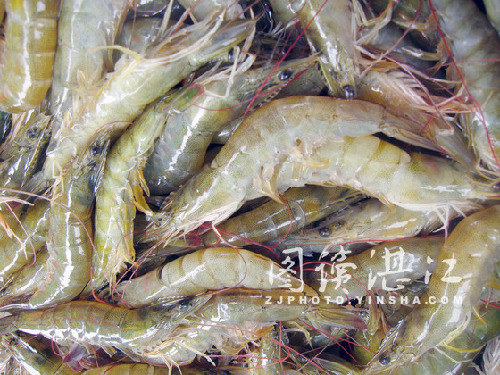 A coastal city in Guangdong province, Zhanjiang has been crowned as the "capital of shrimps" in China, with production accounting for 15 percent of the world's shrimp market and occupying 67 percent of the domestic market. Tilapia and prawns are a big share of the total aquatic exports. In 2011, Zhanjiang was designated among the first national-level demonstration bases for expanding foreign trade in aquatic products, building a whole industry chain and improving supporting facilities. The honor came along with efficient and timely improvements in customs services, especially for perishable and delicate aquatic animals. An exclusive customs clearance channel has been set up for such products, which allows for timely and non-invasive inspections. Any extra aquatic exports can still receive around the clock service if an appointment has been made. "From last January to November, the value of our goods exceeded 800 million yuan, thanks to customs working an extra 200 hours for us," said a supervisor from Guolian Aquatic Products Co Ltd. "We also saved 14 million yuan in tariff reductions and exemptions." Zhanjiang has also developed an online service platform enabling aquatic products exporters to go through customs procedures online. Also benefiting foreign trade enterprises are nine international liners, including those that sail the Zhanjiang-Vietnam-Malaysia route. More developments in sales networks and aquatic and marine technologies have been made, making Zhanjiang a high-profile supplier for a wide range of aquatic products.